10. 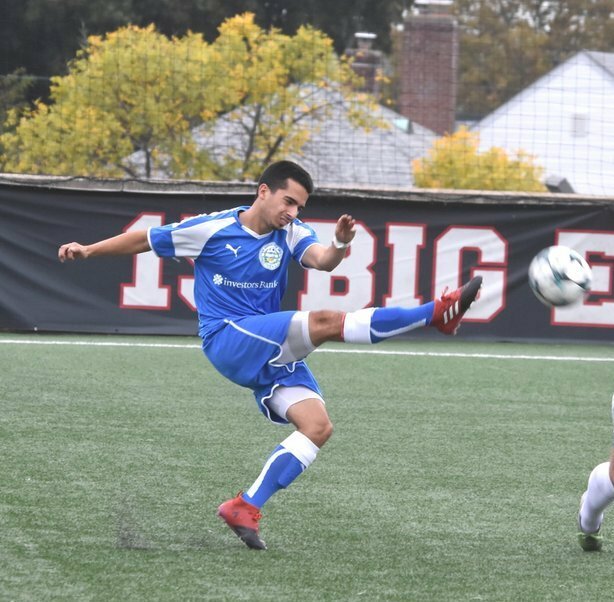 NY Pancyprian Freedoms midfielders Daniel Bedoya and Adam Himeno has been two of the best providers of the season so far. Both players jumped to a team best 10 league-assists on the season in the club’s 4-0 win over Zum Schneider F.C 03. Himeno had two assists versus Zum and reached 10 goal-passes in 15 outings. Meanwhile Bedoya sent his teammates on goal once against ZSFC and tallied 10 assists in just 13 games. 9. 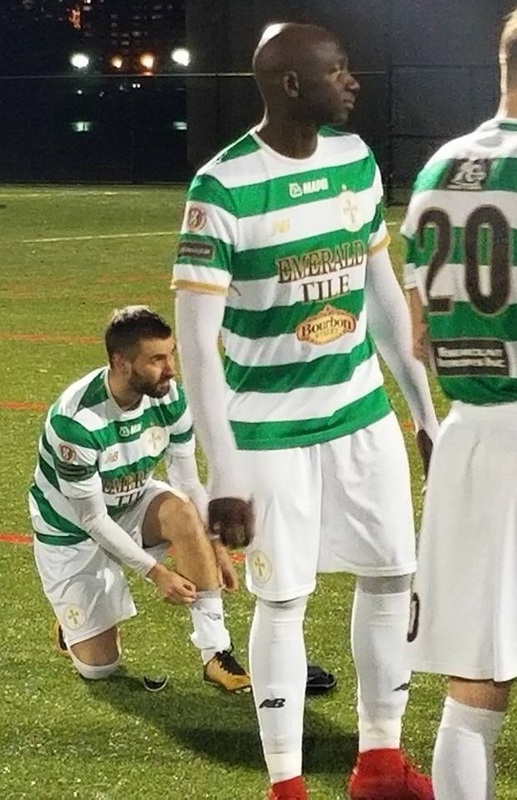 Lansdowne Bhoys number 9 Mamadou Guirassy scored a brace in his side’s win over Shamrocks to jump to 9 league-goals on the season. Guirassy came off the bench in the 70th minute. He netted his first goal in the 85th minute steering a shot past Shamrocks keeper to the near post from a tight angle. And for his second goal the former New Jersey Institute of Technology superstar finished Lukas Zarges’ pass. 8. 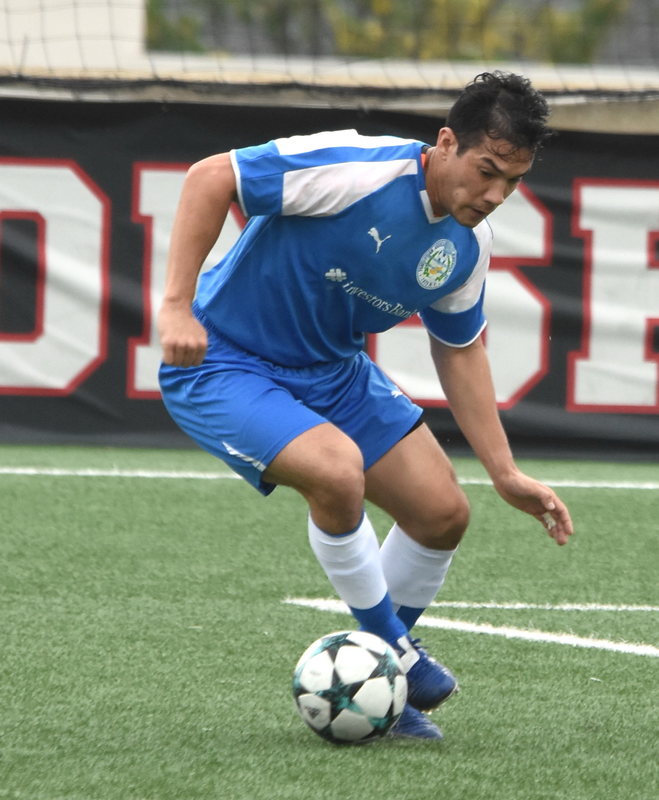 NY Greeks snapped Cedar Stars’ record breaking 8-month CSL win streak with a 1-1 tie on Sunday. The Stars’ victory run started back on Oct. 8th of last year. It lasted for 12 matches, in which they outscored their opponents 53-3. 7. NY Athletic downed Manhattan home at Travers Island on Sunday. Carlo Zanetti scored the opener half an hour into the game, volleying the ball from outside the box before Jason Lampkin pounced on the Kickers’ keeper giveaway to score his 7th league-goal of the season. NYAC didn’t concede a goal in the encounter, racking their first clean sheet in 7 months. NYAC secured their spot in D1 next season after triumphing over the Kickers. The club will be playing its 27th straight season in the elite division. 6. The Freedoms tallied their 6th CSL clean sheet of the season last weekend versus Zum. NY Pancyprians have the second best defense in the league, allowing 16 goals in 16 games. 5. The last 5 placed teams are still in danger of getting relegated. To make things even more unsettling, rock bottom teams Doxa and Manhattan’s game tally was reduced to 15 matches as the two clubs’ game versus each other in the month of March will be re-played because an ineligible player took part of the encounter. 4. The Freedoms blanked Zum 4-0 to go on a 4-game win streak. Charlie Ledula scored a brace, which pushed him to 4 CSL goals in 4 matches. Andreas Chronis and Adam Himeno netted the other goals of the encounter. Himeno scored in each of NY Pancyprians’ last 4 outings in the CSL. 3. Doxa and Central Park played a tense 3-3 draw at Joseph F. Fosina on Sunday evening. Doxa were up 3-1 at halftime with goals from Nick vonEgypt, George Najm and Fernando Cortez, while CPR scored of an own goal. Central Park’s forward Gabriel de Foresta whipped an half volley to the top left corner of the net before Anthony Rozmus tied it up late in the game with a diving header. 2. Lansdowne won their second silverware of the season, defeating Shamrocks 3-1 in the Irish Cup. Janos Lobe netted the Bhoys’ opener in his debut game for the club before Guirassy’s brace. Kurt Cameron netted the Rocks' solitary goal. 1. Cedar Stars and NY Greeks drew 1-1 on Sunday morning. The Greeks hit the net first through Daniel Massey’s 13-yard strike. Christopher Katona netted the equalizer for the Stars, heading Joaquin Escudero’s corner kick in the net. 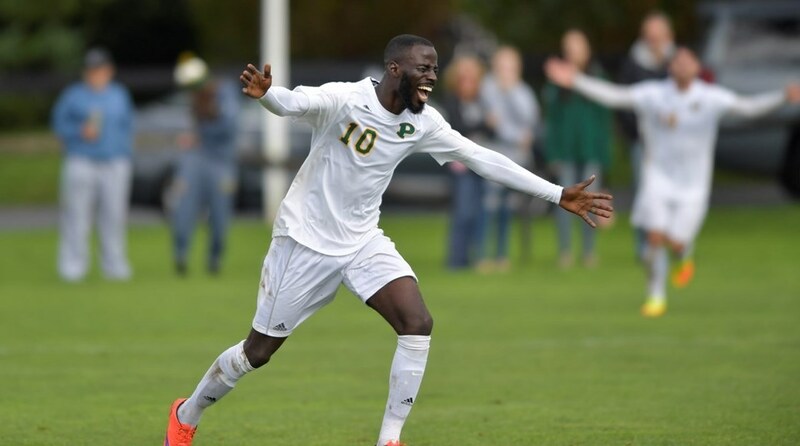 Katona scored in his last 11 games for CSA and leads the league in scoring with an 11-goal advantage over the second top scorer. NYGA’s number 1 Bradley Johnson, played a key role in the tie, tallying roughly 12 saves.